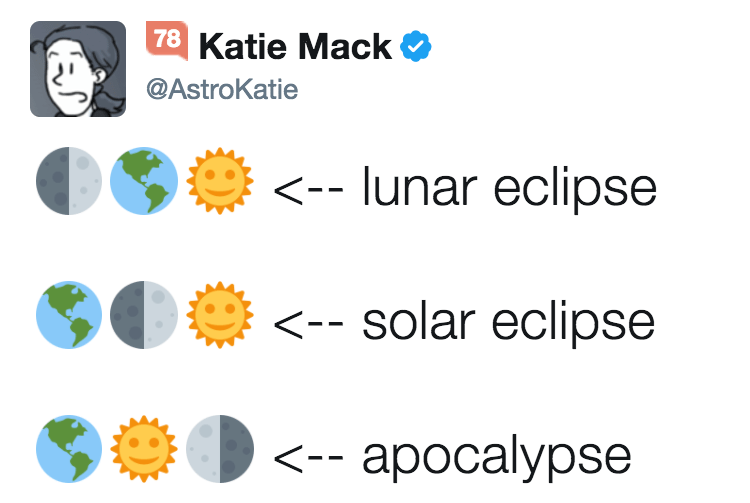 Astronomer Katie Mack’s famous twitter pun. 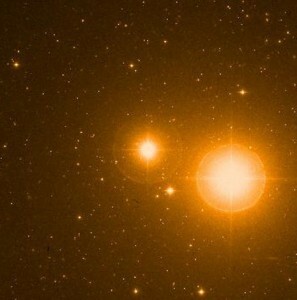 Nowadays syzygy is often used more broadly to denote an interesting arrangements of planets, such as when three planets appear to cluster together, but the original meaning leads to interesting arrangements on its own. The Moon is in syzygy with the Earth and Sun every full moon and new moon, since that is when the three bodies are roughly in a line. But usually the Moon is a bit above or below the Earth-Sun line due to the orientation of the Moon’s orbit. However when the Moon’s orbit comes into line with the Earth and Sun, then a lunar or solar eclipse can occur. Solar eclipses aren’t more rare, but they can only be seen along a narrow path on Earth due to the Moon’s smaller size. When the inner planets Mercury and Venus are between the Earth and Sun, they can transit the Sun. As with the Moon, Mercury and Venus usually enter syzygy a bit above or below the Sun, so transits are rare. Although we usually only think of transits seen from Earth, others can occur, such as the transit of Phobos as seen from Mars. 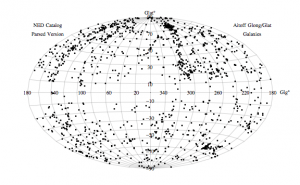 The outer planets can’t be seen to transit the Sun from Earth, but enter opposition when they are in syzygy. At such a time a planet is high in the sky around midnight, and is as close to Earth as it can be, making for excellent viewing conditions. There are also times when the Earth, Moon and a planet are in syzygy, which can lead to an occultation. In this case the Moon passes in front of the planet, hiding the planet from view for a time. Capturing an occultation is high on the list for many amateur astronomers.